How much is Adam Savage Worth? Adam Savage net worth and salary: Adam Savage is an American actor, host, and designer who has a net worth of $8 million dollars. Adam Savage was born in New York City, NY in July 1967. 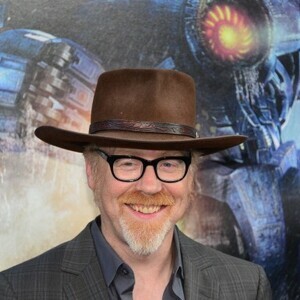 Adam is best known for his role as co-host on the show MythBusters. His father worked on Sesame Street and Adam grew up in Sleepy Hollow. As a child he started acting and voiced characters for Sesame Street as well as helping in Star Wars special effects and appeared in a Billy Joel video. He then moved on to graphic design and working in theater. He worked as a model maker for the movies Galaxy Quest, Bicentennial Man, The Matrix Reloaded, and Star Wars Episode II: Attack of the Clones. Savage was a co-host of MythBusters along with Jamie Hyneman for the original series run from 2003 to 2016. 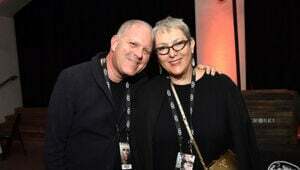 He was also the show's executive producer. Savage is a prominent skeptic, questioning if claims can be reproduced and have empirical research. He married Julia Ward in 2002 and has twin sons from a previous relationship. He has a congenital condition which requires him to wear a hearing aid on his left ear. He was also the executive producer for the show Unchained Reaction. Savage was also a MythBuster on the television series Beyond Tomorrow from 2005 to 2006. 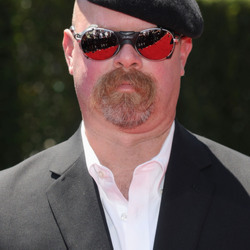 For the show MythBusters he was nominated for Primetime Emmy Awards for Outstanding Structured Reality Program or Outstanding Reality Program from 2011 to 2016. Savage taught advanced model making at the Academy of Art University. He has been a regular presenter at James Randi's annual conferences for skeptics called The Amaz!ing Meeting. He has also co-hosted the podcast Still Untitled: The Adam Savage Podcast. Savage is a contributor and editor for the site Tested.com. He toured on the Brain Candy LIVE! tour with Michael Stevens in 2017.